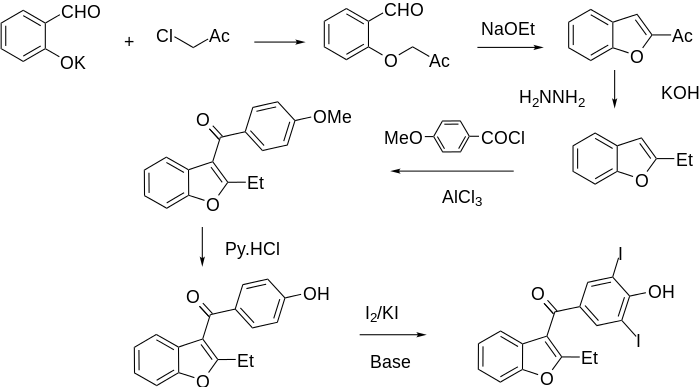 Bufeniode also had the same aromatic substitution pattern. Pizzichini M, Aleo MF, Marcolongo R, Marinello E. The mechanism of benziodarone activity. Quad Sclavo Diagn. 1982 Jun;18(2):203-8.